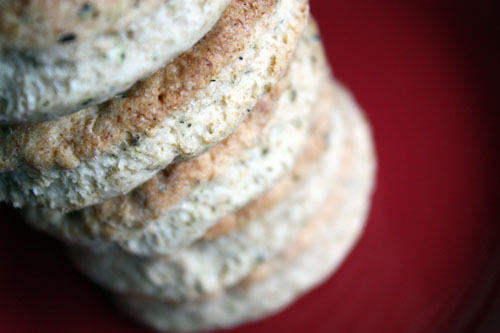 I know — I’ve been in serious biscuit mode lately. I kind of adore them. Who wouldn’t, though? They’re fluffy, buttery and very adept at becoming something else, like a sandwich or a jam/jelly holder. Sometimes they make great pie doughs or cobblers. Sometimes they just make my belly full. And that’s fine with me. After coming home from a week-long vacation in Florida with the family, I was ready for a little R&R (you know, a vacation from vacation), some fall weather and some warm, fluffy biscuits. I found this recipe for baking powder biscuits on the back of my Rumford Baking Powder, tweaked it a bit, and the rest is history. I don’t own a fancy contraption like a biscuit cutter, so I used the rim of a glass and that worked just as well to shape the biscuits. They are a little smaller in diameter than I would’ve liked, however, so I think next time I’ll use a wider-rimmed object. But there was nothing wrong with smallish biscuits. Just more biscuits to go around, then. Debrief: Nothing much. 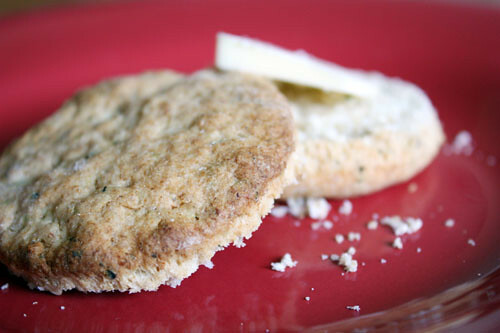 Just as mentioned above, if you want bigger biscuits, use a wider biscuit cutter. Otherwise, this dough is a dream to work with, and very easy to adapt to whatever your biscuit craving. Herbs? Great. Cheese? Sure. Anchovies? Eh, weird, but whatever. These babies can probably handle it. Preheat oven to 450 degrees F. In the bowl of a stand mixer, combine flours, baking powder, salt and herbs. Cut in butter and mix until mixture resembles coarse crumbles. Add milk and mix until dough is soft and starts to pull away from the sides. Pour out dough onto a lightly floured surface and knead for about 30 seconds. 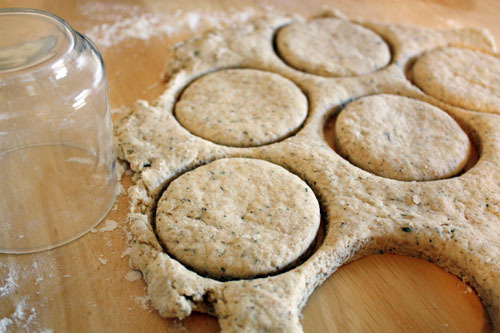 Roll out dough, using a lightly floured rolling pin, to a 1/2-inch to 3/4-inch thickness. 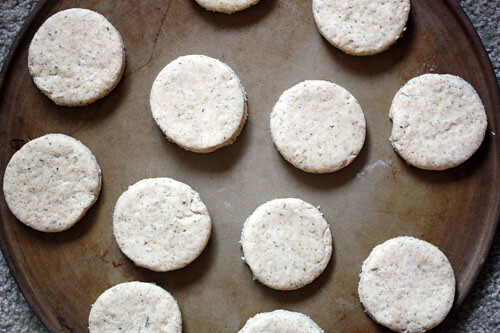 Cut into rounds using a biscuit cutter and place on baking stone or parchment paper-lined baking sheet. Bake 12-15 minutes until lightly brown; serve warm. 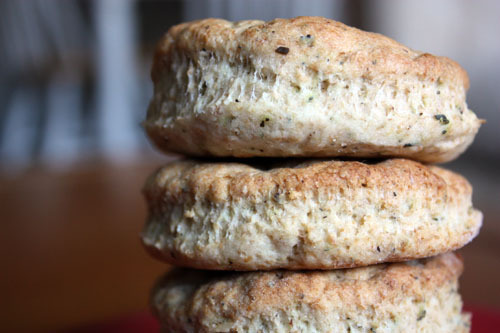 I have never been able to make great biscuits, but these? I think I could handle these. I love the addition of the Italian herbs. Thanks for the inspiration!